Volunteers of America’s Collaborative Housing Initiative is an innovative partnership among many local agencies dedicated to helping qualified individuals build stable housing and lives. The program serves chemically dependent, mentally ill, or dually diagnosed individuals or families who meet the HUD definition of homelessness and who are employed or in school 40 hours per week, unless a disability precludes them. 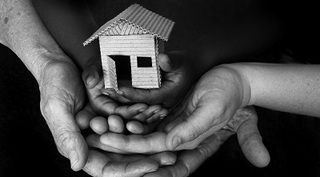 A permanent housing project that includes both a housing subsidy and case management, the Collaborative Housing Initiative provides in-home case management for a variety of interventions to help clients achieve stability and retain housing, including tenant rights and responsibilities, educational/vocational plans, budgeting skills, community resource information, problem-solving skills, and basic home maintenance. Case management is tailored to each client’s needs, and clients participate in all goal setting. Financial assistance is available for clients’ housing-related start-up expenses as well as work or training-related expenses. The program receives referrals from a variety of homeless service providers in the Louisville community.